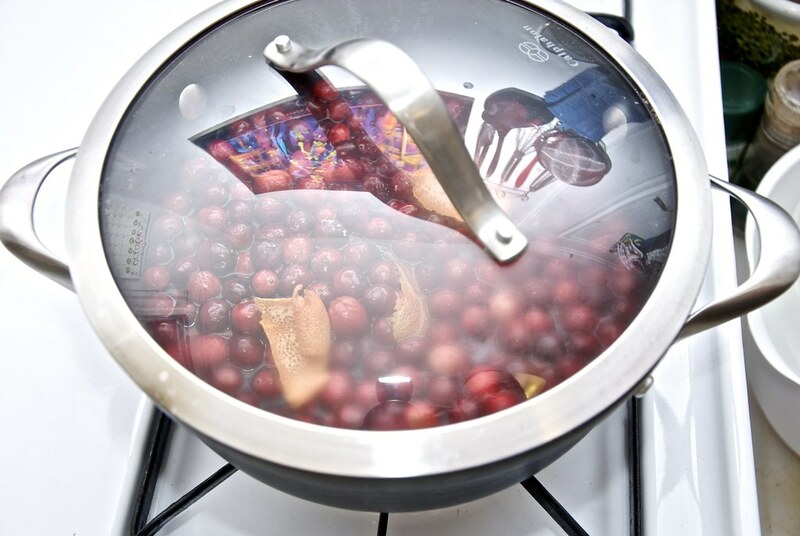 Cranberries were used by Native Americans long before the first settlers set foot on this land. The natives were not using them just for food but also as fabric dye and healing agent. 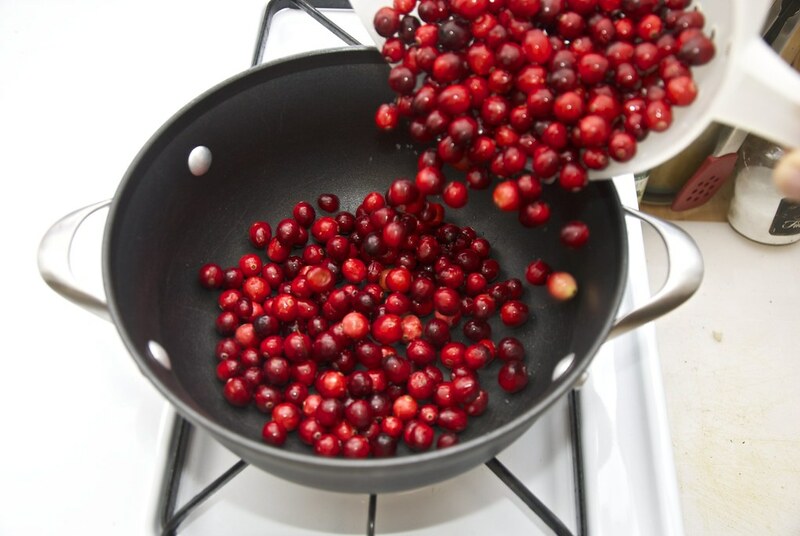 The name “cranberry” derives from the Pilgrim name for the fruit, “craneberry”, so-called because the small, pink blossoms that appear in the spring resemble the head and bill of a Sandhill crane. European settlers adopted the Native American uses for the fruit and found the berry a valuable bartering tool. 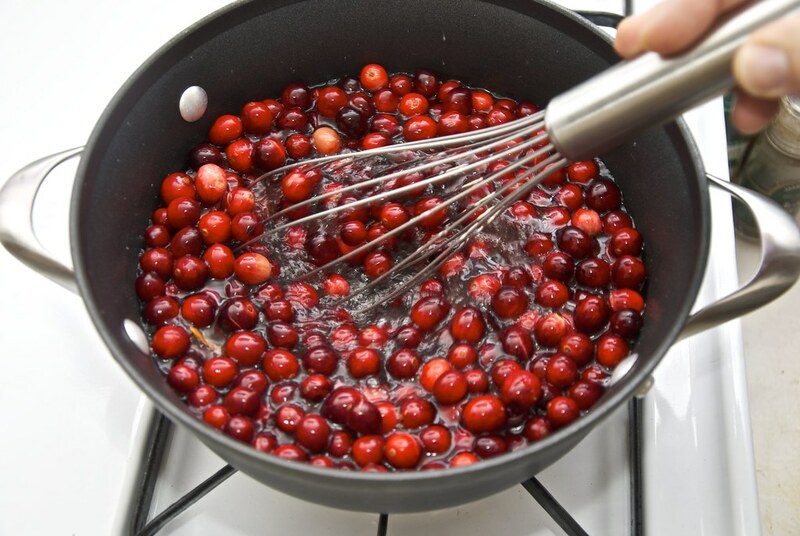 As they preserve well for long time, American whalers and mariners carried cranberries on their voyages to prevent scurvy (vitamin deficiency). 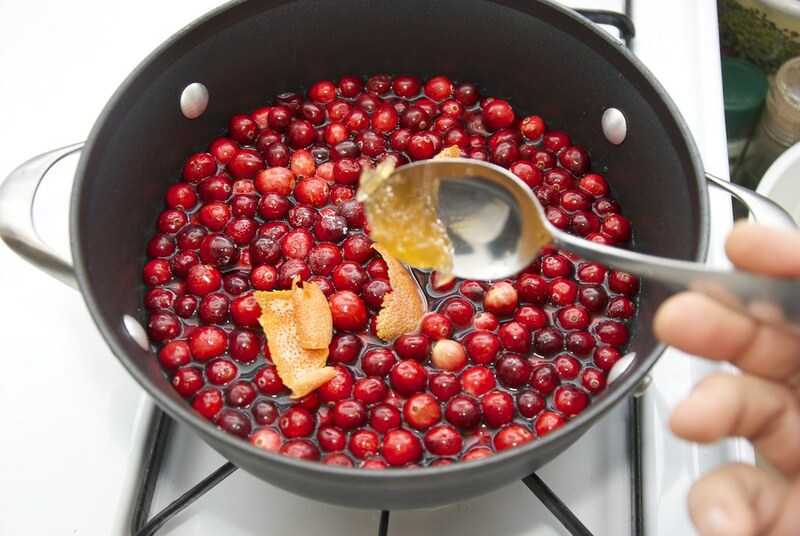 Until 1816 cranberries were available only in the wild. 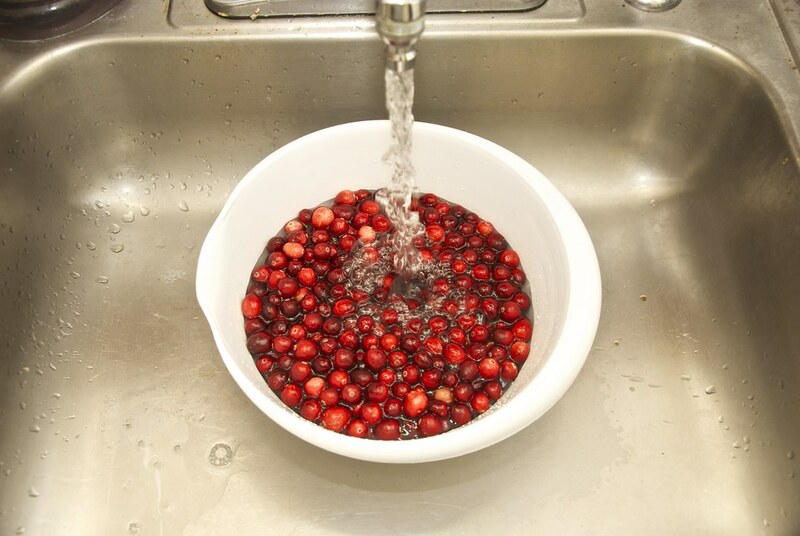 In 1816, Captain Henry Hall became the first to successfully cultivate cranberries.The rest was history. 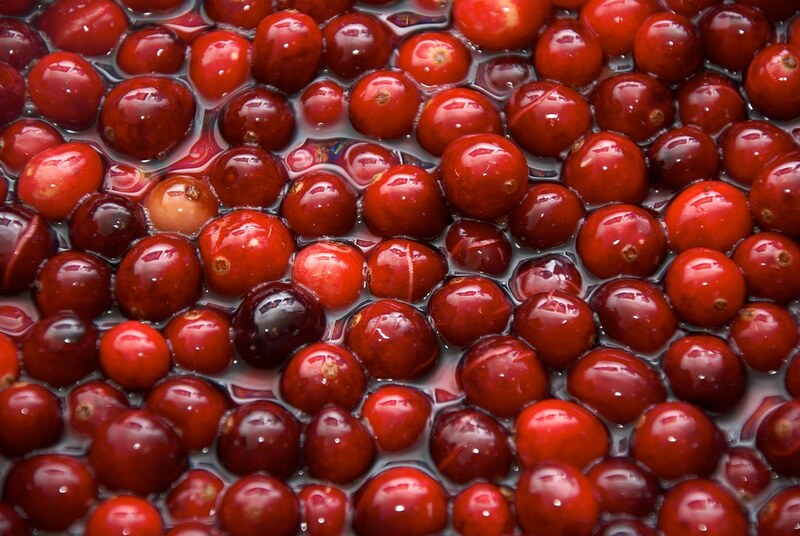 By 1871, the first association of cranberry growers in the United States had formed, and now, U.S. farmers harvest approximately 40,000 acres of cranberries each year. 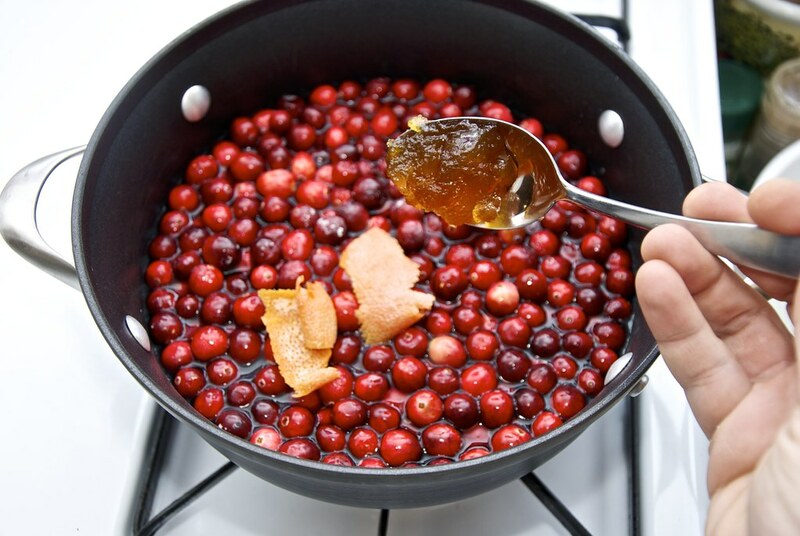 Today, cranberries are commercially grown throughout the northern part of the United States and are available in both fresh and processed forms. Actually the cranberry, along with the blueberry and Concord grape, is one of North America’s three native fruits that are commercially grown. 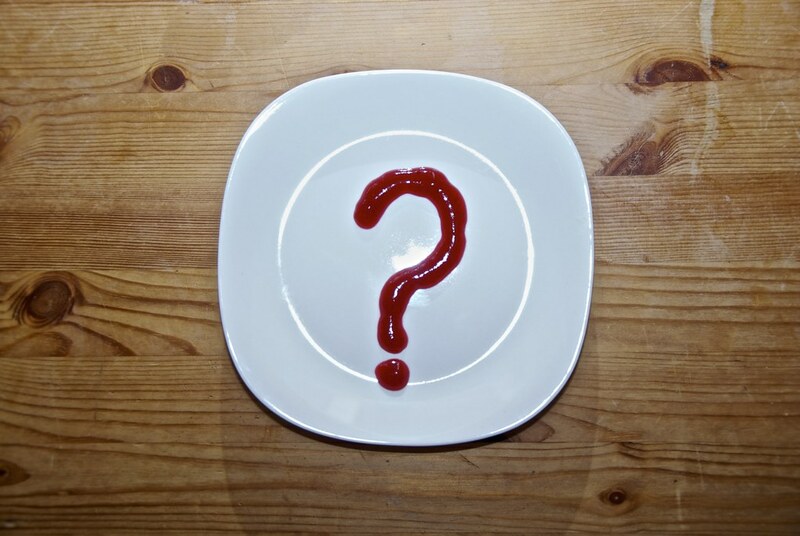 The sauce, although it is nowadays primarily eaten around the holidays, the old times it was made to be eaten year around. It does not even qualify as a sauce in strict terminology. 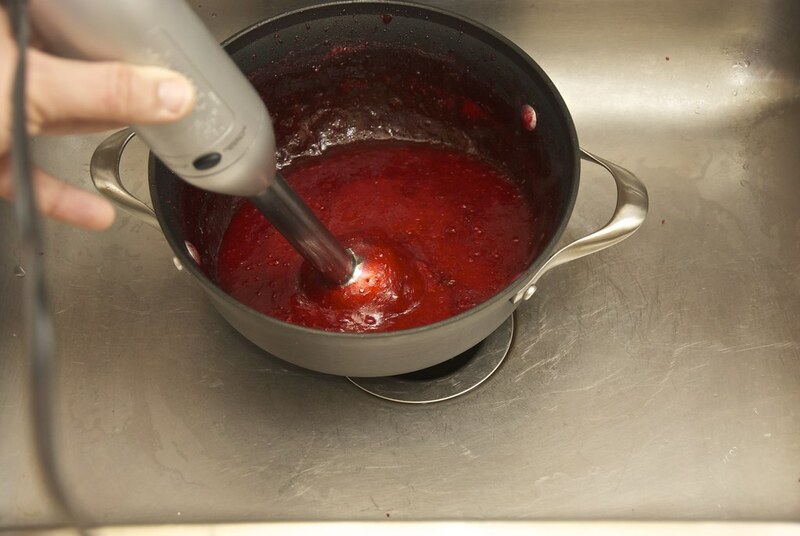 Depending how it is made it can be either a jam or a jelly. 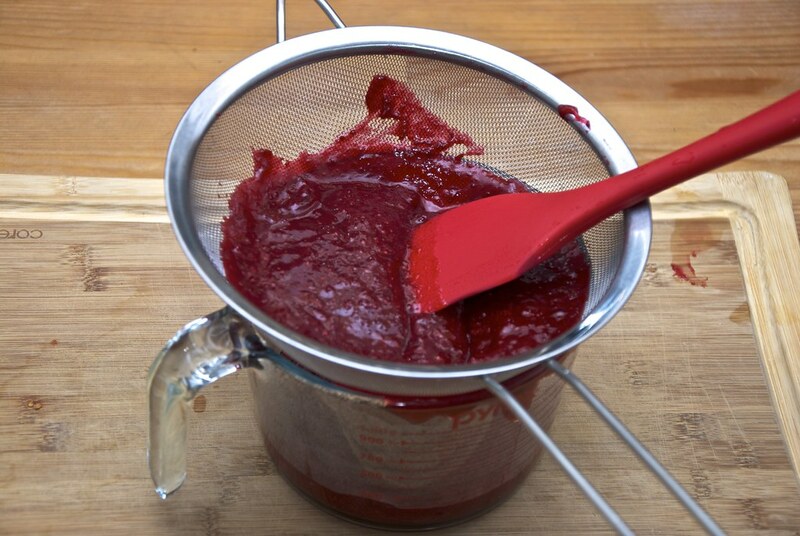 Jams are the sugar and pectin thickened compotes that are made either with the whole fruit or with segments of it. 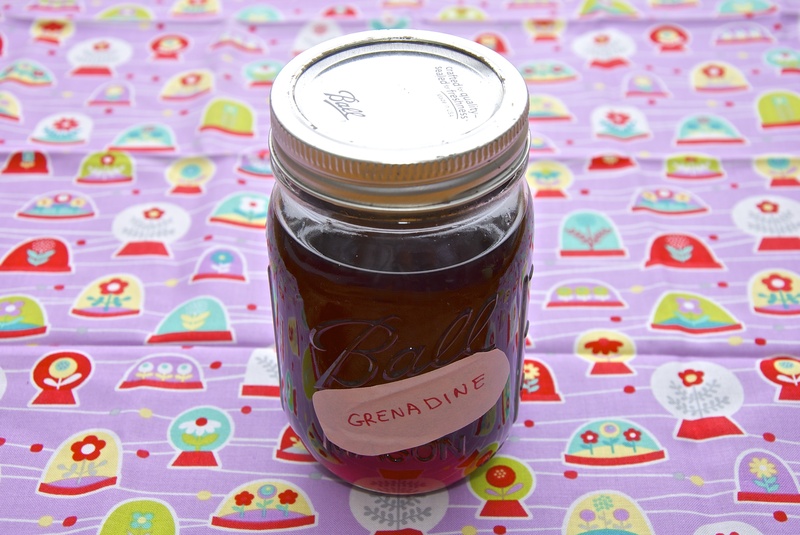 Jellies are made the same way, but only with the juice so they tend to be more clear. 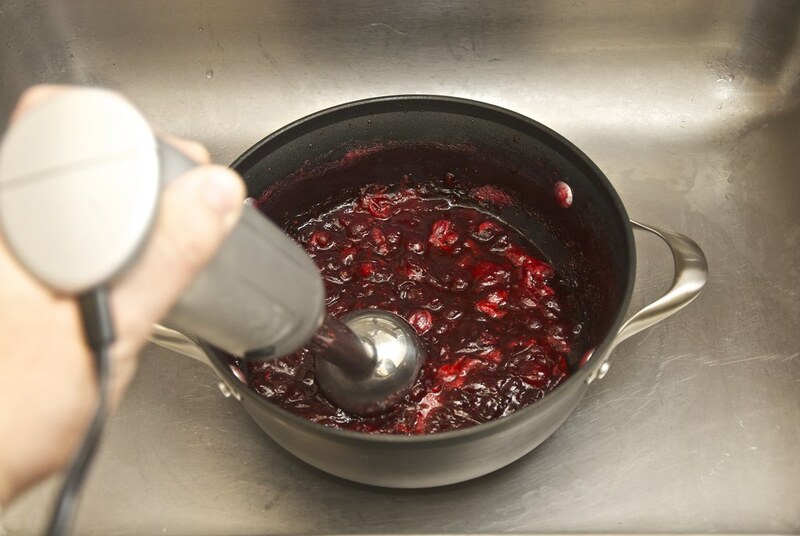 So the cranberry sauce is essentially a cranberry jam. And because the early Pilgrims were British it is not a surprise it was actually used with roast meat. 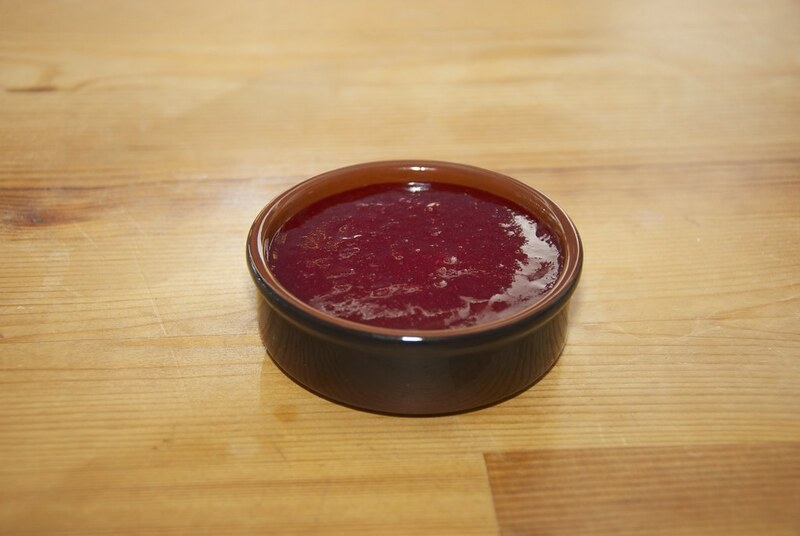 British were used to accompany roasted meats with sweet jams like mint. 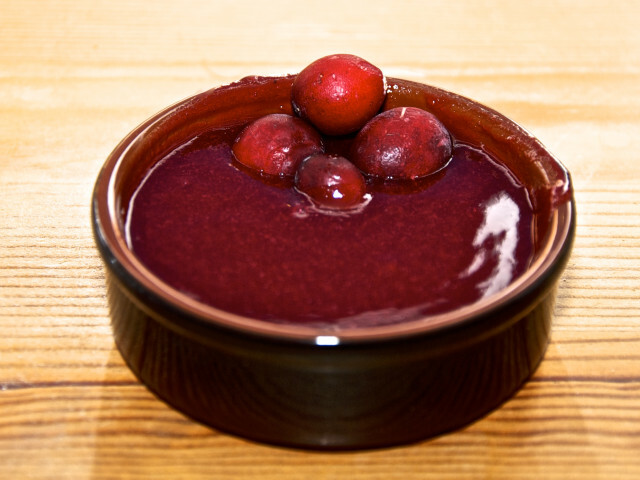 Cranberries actually are great ingredients for jelly and jam because they are packed with pectin. 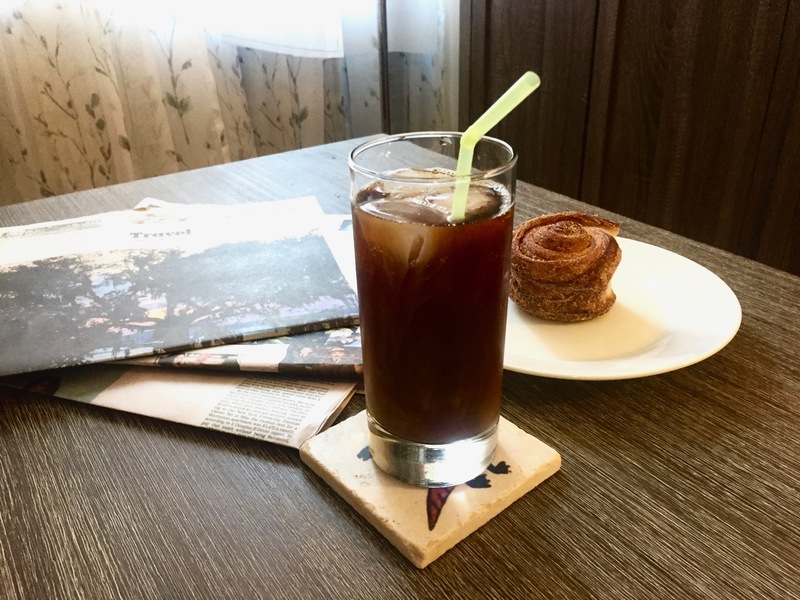 Pectin is a protein that in the presence of sugar and acid cross links, creating a three-dimensional mesh that gives a much thicker consistency than syrup. 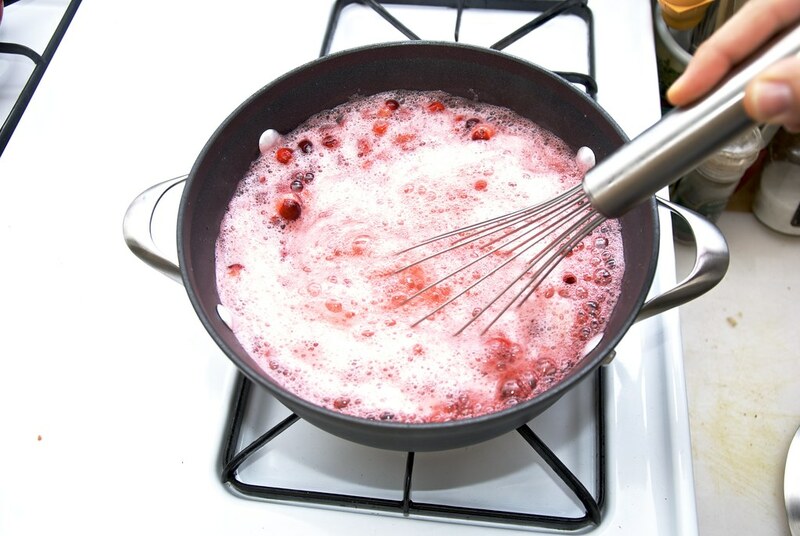 If you ever, had a raw cranberry you know how acidic they are, so all you need is to add the sugar. Yeah. This is it. 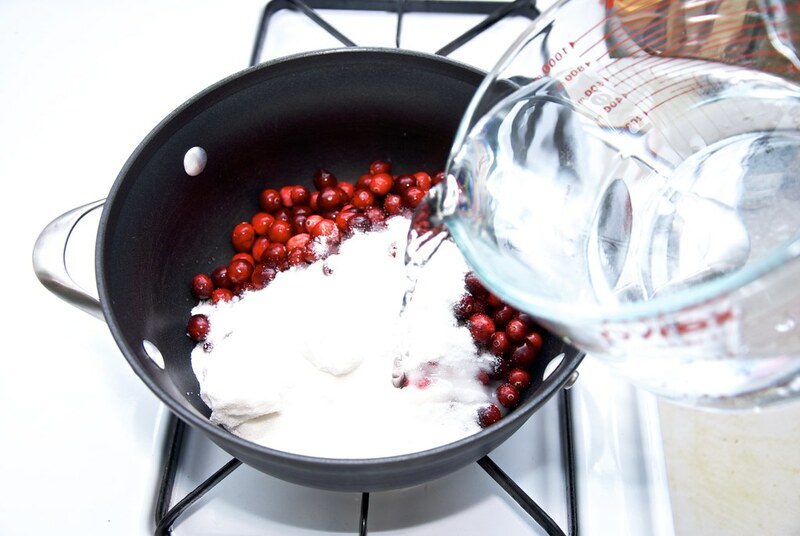 Cranberries and sugar in some water and you got all you need. Of course you can always doctor it up a little bit. How? Let’s venture to it together. 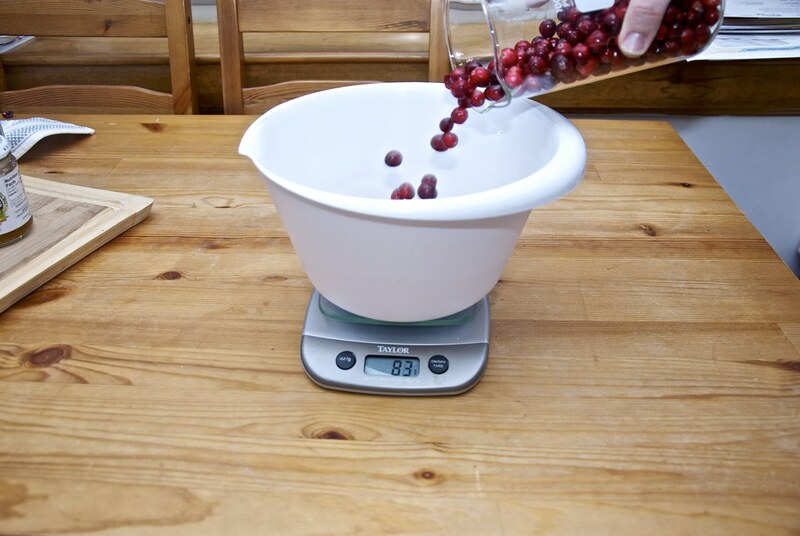 So, basically, we need twice as many cranberries as sugar by mass, and twice as much water as sugar by volume. Weight the cranberries. 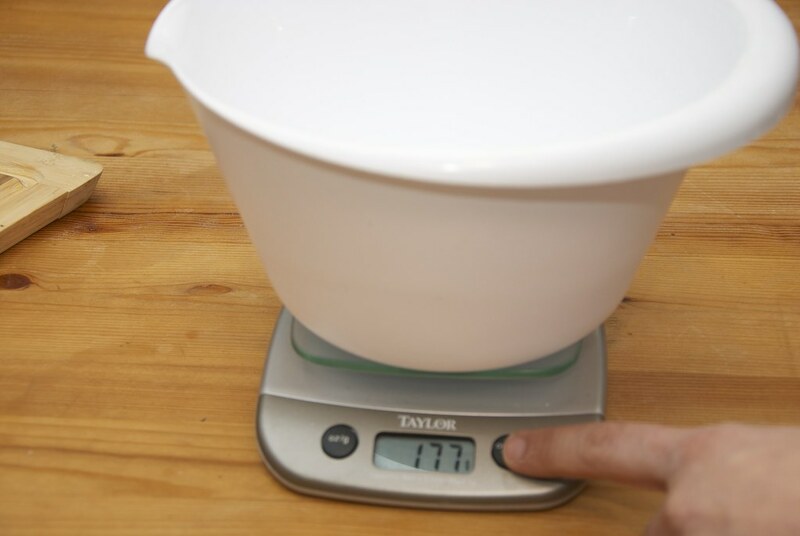 This batch was exactly 483 g.
So for this, we will need about 240 g of sugar, which happens to be exactly one cup! It’s a miracle! 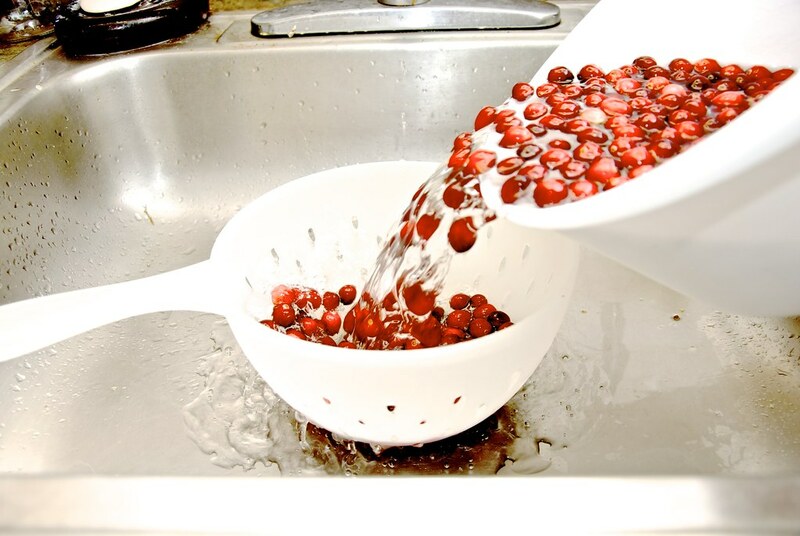 Wash the cranberries. Don’t be afraid: put your hand in there and swing it around. 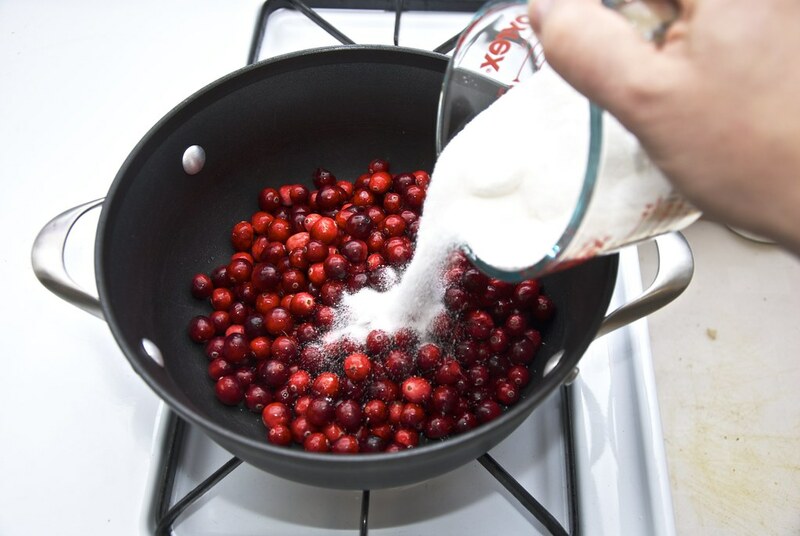 If you feel any soft cranberries just remove them. Beautiful bright colors. And add them in a pot. 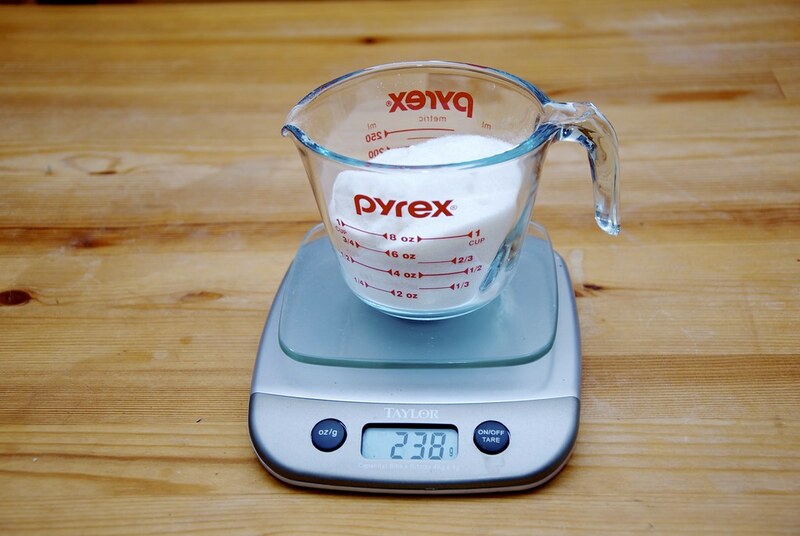 Add the sugar (1 cup). And the water (2 cups). Peel an orange or grapefruit and take a strip 5-7 cm long (2-3 inches). Careful not to get much of the pith! The white part of the orange that is quite bitter and weird tasting. Now add 1 teaspoon of orange jam. 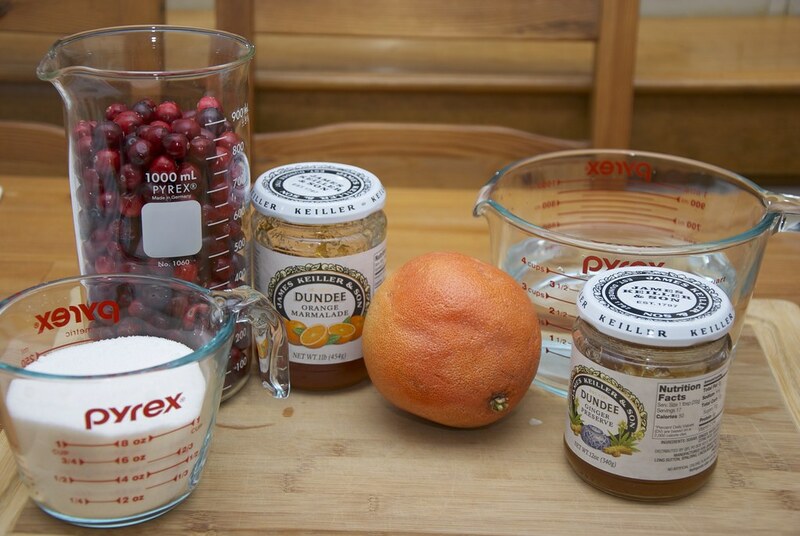 We will get some more orange notes and more pectin to assist the thickening. 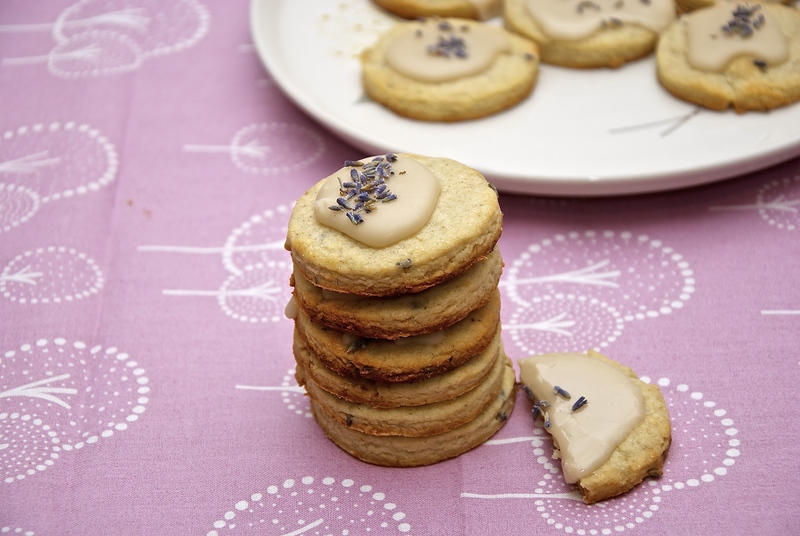 Same with the ginger preserve. Ginger has this nice notes of christmas and holidays. I think it is ideal for this. Cover the pot. We need to cover the pot to keep the heat inside. 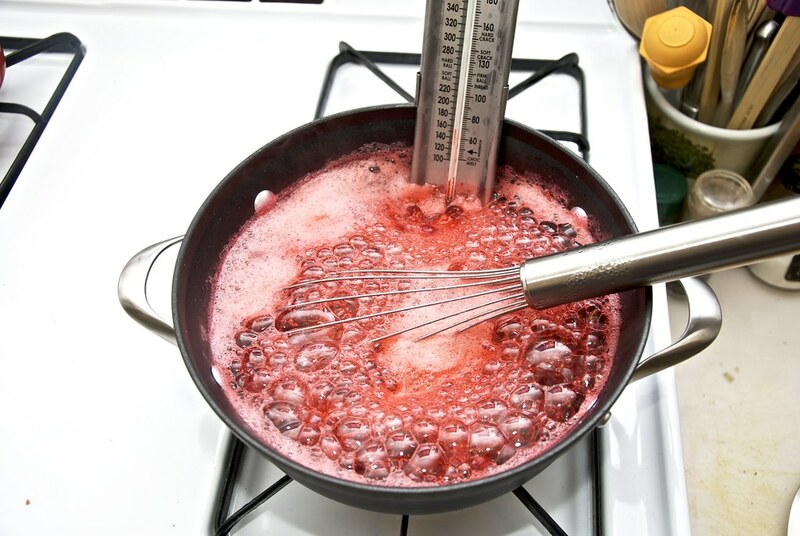 This will increase the temperature faster and will make the berries pop. Here you can see the reflection of the wall with my utensils and an a very festive New Orleans poster. Just like this. Popping, splitting blistering. 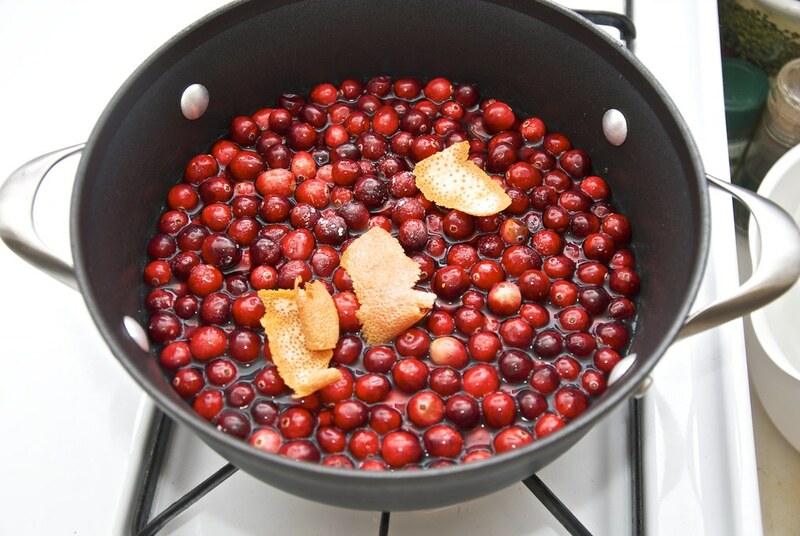 When it hits a boil stir to break the remaining cranberries and you will get a bright red sea of cranberry juice. 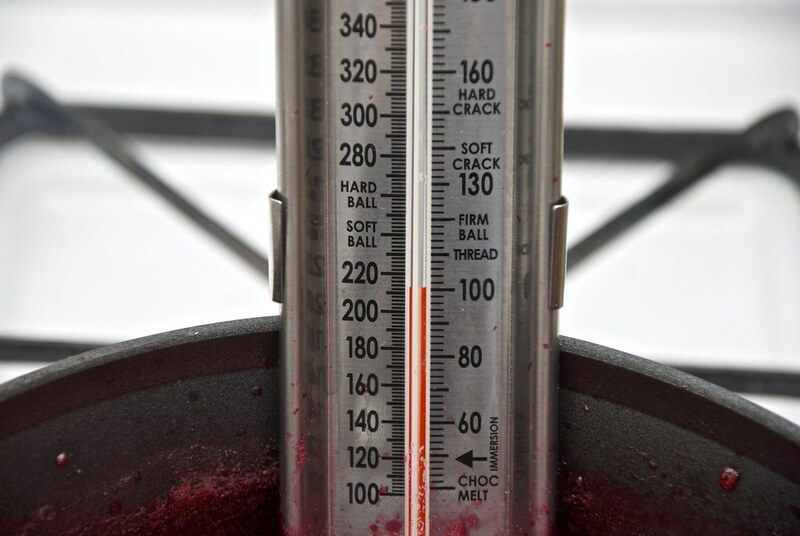 Stick your thermometer and wait until the temperature hits 100 C (212F). This should not take more than 15 minutes. 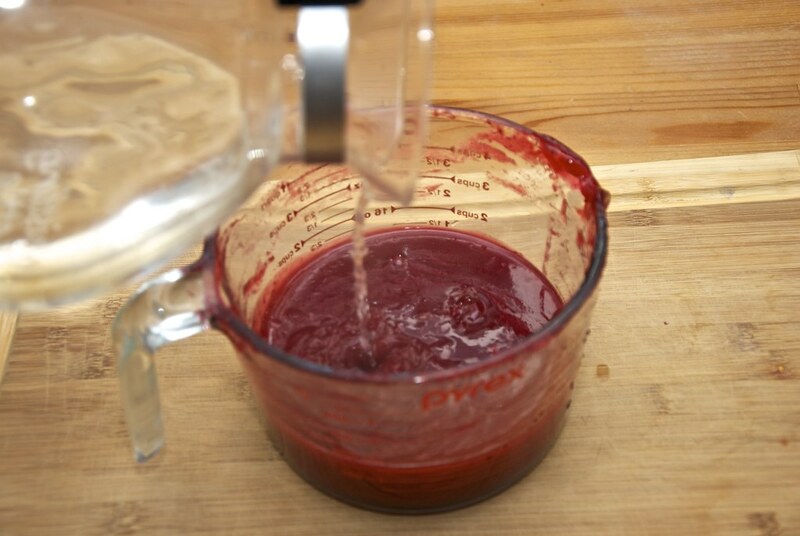 If you go longer it will reduce the ability of the pectin to thicken the sauce. Almost like this. At this point remove from the heat and let it cool. 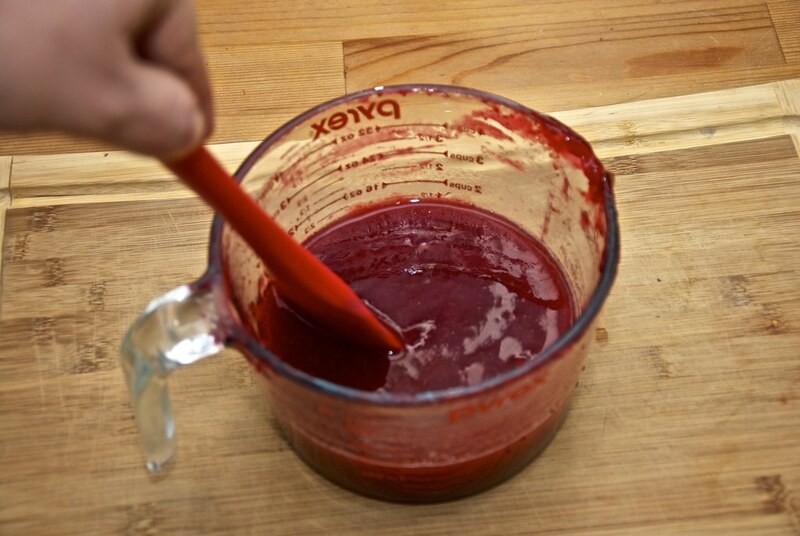 Thus far you have created an amazing jam or sauce (whatever you like to refer to as) which will be great on your roasted turkey. However, it is chunky. I like my sauce smooth and jelly like consistency. I don’t like the skin of the cranberry either. So I put my stick blender and mix everything. 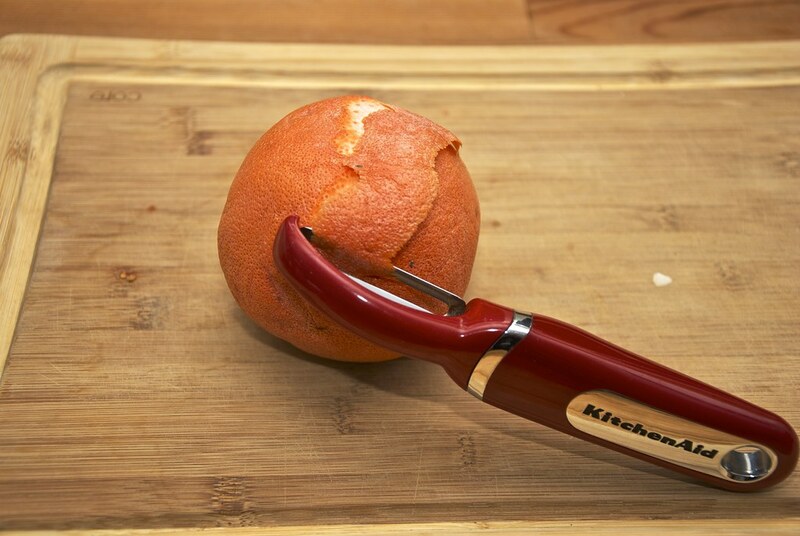 This also grinds the orange peel that allows the goodness to escape and fill the sauce with the fragrance of the orange. 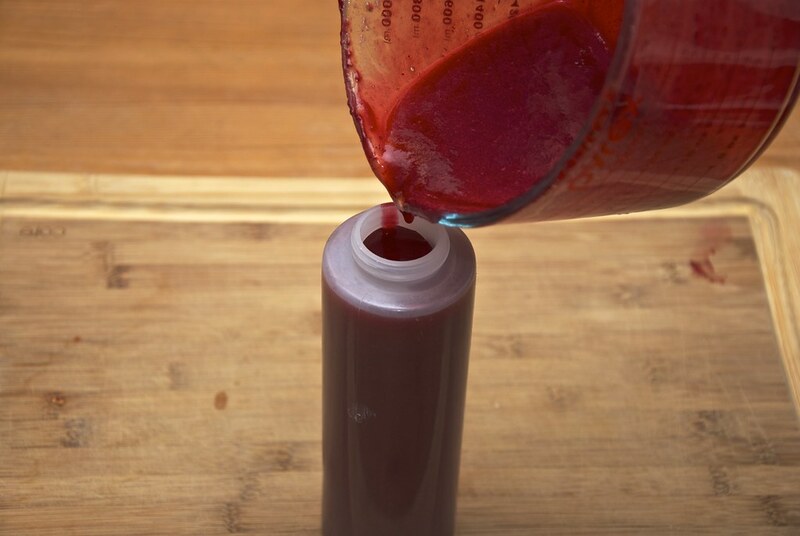 Blend until it is smooth like this. Now although this is blended it still contains the skins. So I strain! 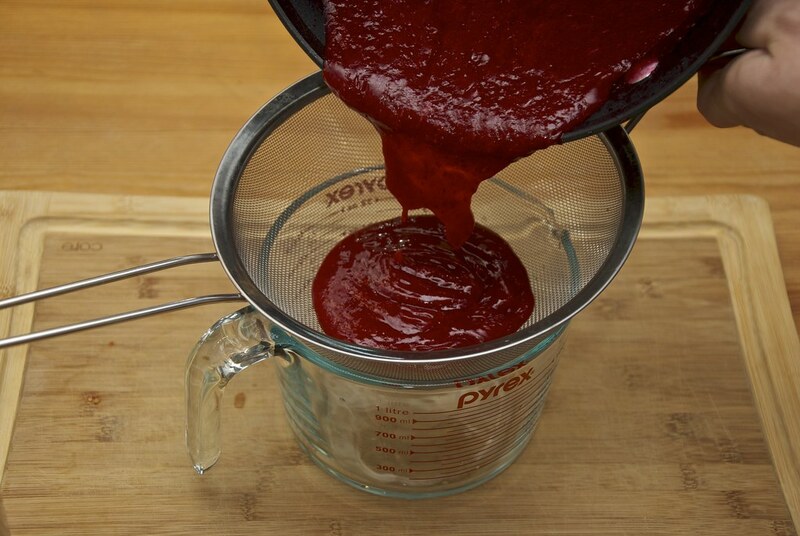 Pour out all the sauce. At this point it is so thick that it will not run through the strainer. You will need to assist it with a spatula. 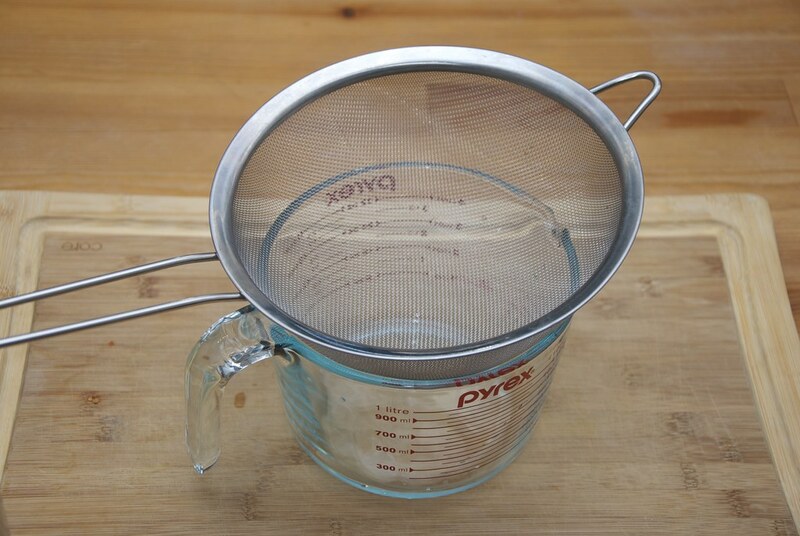 At the end you will have all the skins left in the strainer. 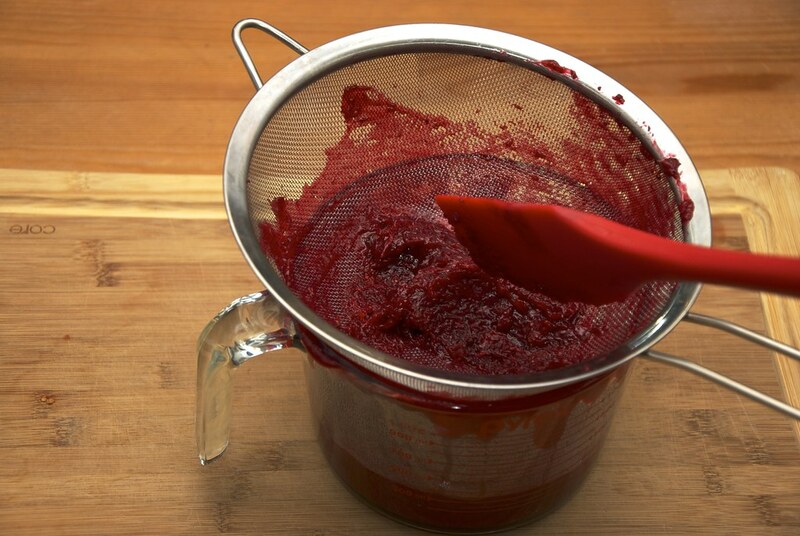 And on the other side of the strainer you will have an nice, delicious, rich, smooth and sweet & tangy sauce. The tangy flavor can wake up the tastebuds and make a blant and tasteless meat as interesting as a sirloin. But you can take things a step further. Add some hot water to dilute it down. And add it in a squeeze bottle. Why? Add all ingredients in a pot. Bring to boil and simmer for 1 hour or until you get the consistency you desire. Strain through a fine mesh. 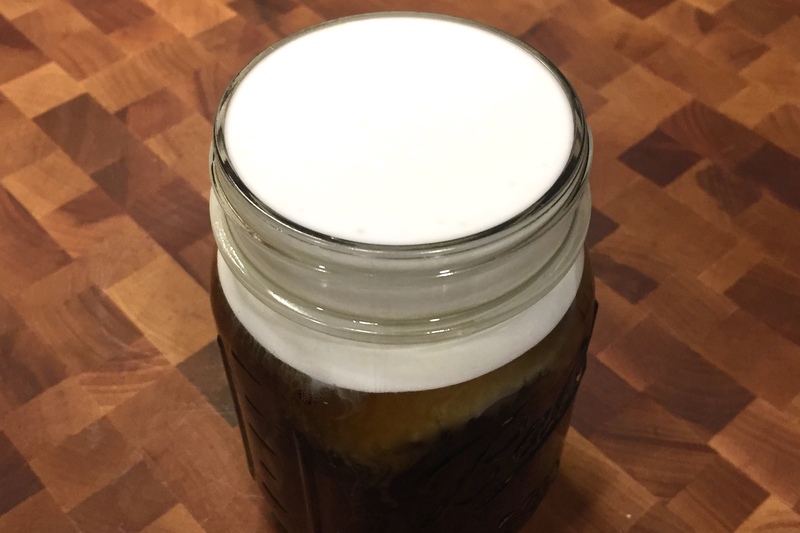 If you don’t have the ginger jam substitute 1/2 of the water pint with ginger ale.